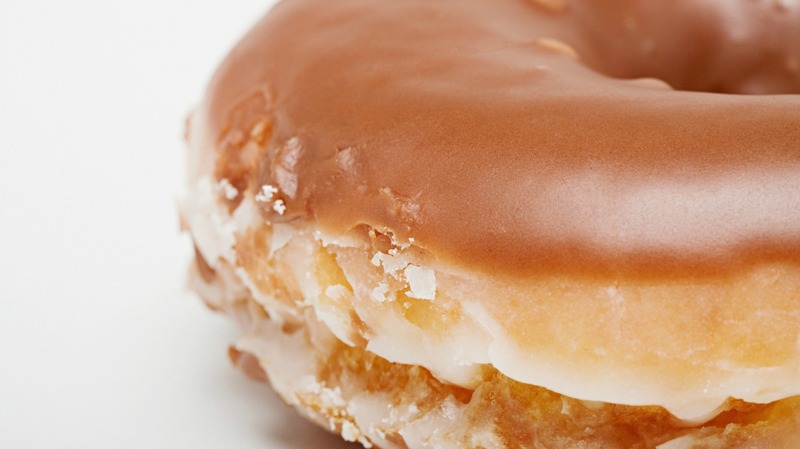 It’s official: We now live in a world with free doughnuts. The gods have spoken, and no, this is not an April Fools’ joke… well, not entirely, anyway. Krispy Kreme announced its biggest doughnut crop yield in history, offering the public one free glazed doughnut today and today only, April 1, 2016. Ah yes, the wonderful glazed Krispy Kreme doughnut, one of our most cherished delicacies, has had a successful crop yield, Krispy Kreme said in its news release. But wait… How could doughnuts have a crop yield? Imagine frolicking around in a field on a sunny day, admiring the doughnuts trying to sprout from the ground, perhaps growing next to that money tree we always wanted, adjacent to a few jelly bean stalks — the possibilities are just endless. Unfortunately doughnuts do not have a crop yield considering they do not grow from plants (gasp! ), so no, Krispy Kreme did not have a surplus of doughnuts that magically grew from the ground. However, Krispy Kreme truly is giving away one free glazed doughnut per customer in honor of the April holiday. So our dreams are still a reality after all. This is perhaps the best April Fools’ Day we have ever had, and it’s all thanks to Krispy Kreme’s generosity and humorous spirit. This delectable deal is definitely a sweet and surprising treat — offering the famously delicious signature glazed doughnut could put a smile on anyone’s face this morning. Can you say TGI Friday? Make sure to take advantage of this dough-tastic deal before day’s end!